Peptide (Delta Sleep Inducing Peptide) has a beneficial effect on sleep, which is characterized by a soft, modulating effect. The effect of peptides differs from “hypnotic” pharmacological preparations, which are still produced on the basis of substances that are not characteristic of our body (barbiturates, cyclopyrrolones, benzodiazepines). 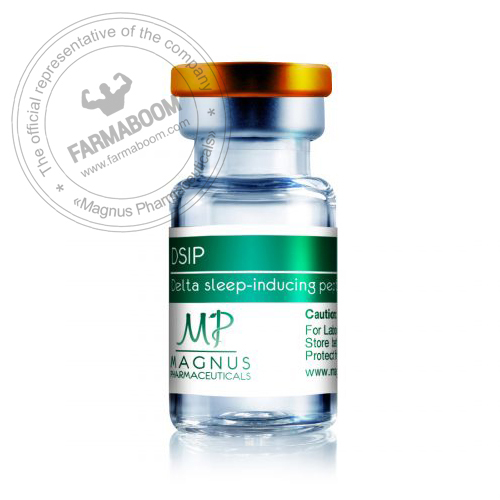 In this regard, the creation of a new class of hypnotic drugs, such as DSIP peptide, is very promising. Substances like peptides are structurally close to our natural sleep regulators, so they are more efficient and safer. Eliminates alcohol dependence, helps reduce cravings for alcohol. Helps sleep, helps normalize sleep. Significantly reduces the production of the hormone corticotropin, which is catabolic. Protects the body from stress. It has a powerful antioxidant effect. Promotes intensive secretion of somatotropin and somatoliberin. Promotes enhanced production of the hormone luteotropin, which stimulates greater production of endogenous testosterone.